RTB equipment hardware and software has all but plateaued in development. Accelerometers have not changed greatly in many years. Cabling hasremained essentially unchanged. The “brains box” has not changed a great deal in the last 10-12 years since the advent of the modern PC chip. Only presentation and limited functionality has really changed over the recent past – not the efficiency of how we conduct RTB. Calculating RTB solutions does not take large amount of computing power and the capability has long been up to the task – simply a matter of packaging and which presentation the operator finds more user friendly. The current generation of trackers which are generally a line scan amera based system are still reasonably accurate but may suffer from occasional difficulties in locking on to a track in certain light or infrared conditions. Some equipment doesn’t even use this track information to determine an in-flight solution other than to establish an initial “flat” track condition. From this flat track condition, it begins the RTB exercise – even though the camera is mounted on the helicopter and the illusion of it using the in-flight track condition for the balance solution is created. The final solution to obtain a smooth rotor system may result in the blades requiring to be flown OUT of track to obtain the smoothest ride. This is purely a function of individual blades and rotor systems. 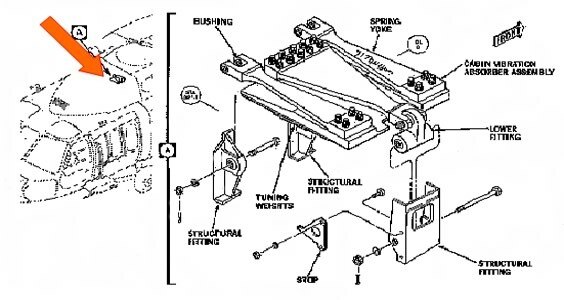 Dynamic Rotor Track & Balance (RTB) has long been a significant cost in maintaining helicopters. This cost is a factor of time consumed in tracking and balancing which translates from wasted man hours, flight hours and significant aircraft downtime resulting in the aircraft being unavailable for task. Each RTB event can often be anywhere between one and up to five or more days depending upon the skill of the maintenance personnel, maintenance test pilot, RTB equipment used and the condition of the blades. It is being increasingly recognised that the greatest cost savings to be gained from any HUMS system for the least cost outlay is by obtaining savings in the RTB area. Defence Science and Technology Organization (DSTO) Australia, who has conducted several international HUMS conferences over recent years, has produced a cost analysis program which can quantify savings and expected cost benefits which may be had from adopting certain aspects of condition monitoring. This program called HUMSSAVE enables dollar values to be inserted against capital equipment costs, hardware costs, man hours, aircraft operating costs etc to provide a dollar value per aircraft operating hour for the expected savings (or otherwise) of adopting certain elements of, or complete HUMS systems for specific fleets and types of aircraft. It is easily demonstrated that the most cost effective component which provides the greatest and quickest return – is reducing the amount of time spent on RTB. Hardwiring: permanently installing the cabling and accelerometers into every aircraft in the fleet so that a RTB junction box & analyser can be walked on board and plugged in to the existing cabling and an RTB exercise commenced. Permanent fit: In addition to permanently hardwiring for cables & accelerometers, a junction box and analyser is also permanently installed. Improved RTB Efficiency: Making existing systems capable of working more efficiently to obtain a solution. Hardwiring and Permanent Installations of RTB equipment is a very capital expensive exercise not withstanding the increased maintenance for replacement accelerometers, broken connectors etc throughout their in-service life. With fully integrated HUMS comes the added expense again after installation of the man hours required in data downloading and processing in addition to the inevitable “system upgrades” through the life of the HUMS/RTB system. The most significant potential saving in RTB to be had is by adopting a simple, inexpensive measure which EVERY operator can do – with almost no impact on his current way of operating. It is called Span Moment Arm Control (SMAC). It allows your exisiting RTB equipment to work more efficiently and obtain a smooth ride sooner than traditionally has been the case. It simply requires that instead of thinking ONLY dynamic RTB when considering balancing a rotor blade, the WHOLE balance problem must be considered – static & dynamic balance and their inter relationship. By doing this, the typical results to date is that the average RTB exercise for a helicopter is in the order of 2-3 flights before it is smooth – with minimal weight being required on the hub to dynamically balance the head. 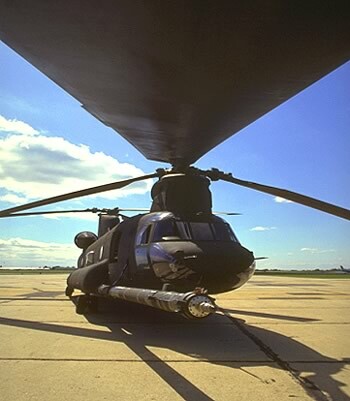 For CH47, typically the flights are down to as few as 4-5 flights before it is flown serviceable. To help understand and de-mystify RTB, we must look at rotor blade adjustments available, their purpose and who can play with them. After reviewing Rotor Blade Adjustments that are available, we must then look at the vibration likely to be encountered and corrected by the dynamic RTB smoothing process. Associated with, but separate from the RTB smoothing, N per rev vibration needs to be discussed and looked into. These are often classed as a medium frequency vibration but can often be more fatiguing and damaging than the classical 1/rev vibration typically thought of with RTB smoothing and helicopter flight. Extreme low frequency vibration is virtually limited to pylon rock. 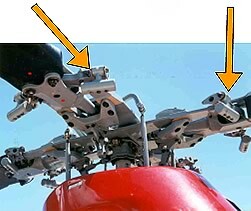 This is encounted with suspended transmission systems which is typical in Bell helicopters such as the UH-1/B205 series. Low frequency vibrations, 1/rev and 2/rev are caused by the rotor itself. l/rev vibrations are of two basic types, vertical or lateral. A 1/rev is caused simply by one blade developing more lift at a given point than the other blade develops at the same point. A lateral vibration is caused by a spanwise unbalance of the rotor due to a difference of weight between the blades, difference in Span Moment Arms, the alignment of the CG of the blades with respect to the spanwise axis which affects chordwise balance, or unbalance of the hub or stabilizer bar. Rigidly controlled manufacturing processes and techniques, eliminate all but minor differences between blades, resulting in blades which are virtually identical. The minor differences which remain will affect flight but are compensated for by adjustments of trim tabs, pitch settings and Dynamic Balance weights . Smoothing of l/rev verticals is essentially a trial and error process although most rotor heads behave reasonably predicatably. Dynamic Balance Equipment manufacturers use a sample head which is in a known good condition and “map” out the various adjustments required and magnitude of change and in what direction the changes occur. This is then amalgamated into a software package (or “SmartCharts”) which can allow with reasonable reliability, multiple adjustments and forecast the most likely result based on the data base and experience the RTB Equipment manufacturer has put in the software.. Once in a while it will be found to be impossible to get two blades flying satisfactorily together and it will be necessary to remove and replace one blade – this is more than likely a span moment arm problem and can easily be fixed by passing the blade over a digital static blade balancer. Until now this option has not been available. The only option to date has been to swap blades and try and match sets of blades to try and get an acceptably smooth aircraft. Often this process has taken days and many wasted man hours, aircraft down time, flying time and lost revenue. Laterals. Should a rotor, or rotor component, be out of balance, a 1/rev vibration called a lateral will be present. 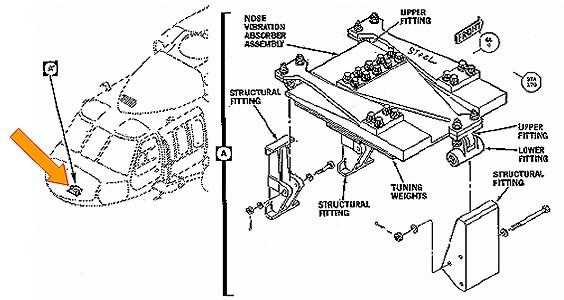 Laterals existing due to an unbalance in the rotor are of two types; spanwise and chordwise. Spanwise unbalance is caused by one blade or hub being heavier than the other (i.e. an unbalance along the rotor span) or the Span moment arm of one blade being different from the other blade’s. A chordwise unbalance means there is more weight toward the trailing edge of one blade than the other. Medium frequency vibrations at frequencies of 4/rev and 6/rev are another inherent vibration associated with most rotors. In two bladed teetering head systems, an increase in the level of these vibrations is caused by a change in the capability of the fuselage to absorb vibration, or a loose airframe component, such as the skids vibrating at that frequency. 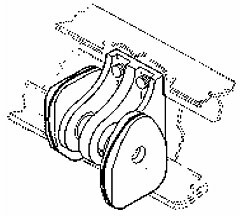 The most common cause is loose skids caused by worn, loose, or incorrect skid retaining straps. In multi-bladed systems, medium frequency vibrations are normally Nper rev and harmonics thereof. N being the number of rotor blades in the particular system being examined. It is quite common to have numerous absorption devices to minimise the effects of N per rev vibration. N per rev will manifest itself as both a vertical and lateral component. It’s cause is discussed in depth in N per rev. High frequency vibrations can be caused by anything in the helicopter that rotates or vibrates at a speed equal to or greater than that of the tail rotor. This includes many unusual situations such as hydraulic line buzzing, or starter relay buzzing, to the most common and obvious causes; loose elevator linkage at the swash plate horn, loose elevator, or tail rotor balance and track. Below are some case studies of aircraft vibration problems which have been encountered. There is of course many more examples. Further examples are available for download Free from the download page. N per Rev vibration is a function of the number of blades within the rotor system. For example a 4 bladed system would have an inherent 4 per rev freq, a 5 bladed system, a 5 per rev and so on. Associated with these, are the harmonics of the N per – the N-1 & N+1 rev vibes. A site (NASA) explains these quite effectively. Some people often believe that N per rev vibration is a function of the RTB or rotor smoothing exercise. This is incorrect. The N per smoothing is a separate operation but is often carried out at the same time or in conjunction with an RTB exercise for obvious reasons that the vibration equipment is already fitted. It is true that the smoother a rotor system is, then it tends to unmask the Nper rev vibration such that they appear a lot worse to the aircrew inside even though no adjustments were done to the absorbers. This is because the higher levels of 1 per rev vibration tends to mask the N per rev vibration. As the 1 per rev levels are reduced toward zero, the N per rev vibe becomes APPARENTLY more noticeable. If you were to take actual IPS level readings, you would see that the actual IPS magnitude has not altered – merely become more noticeable. For us to more fully understand the reduction of N per rev vibration, it is best we discuss the causes of N per rev. Many theories have been espoused. 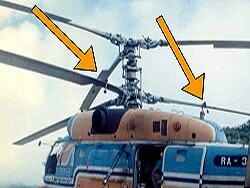 It is probably the most avoided question when it comes to asking about helicopter vibration. Try asking your friendly helicopter manufacturer, representative or your RTB equipment manufacturer. 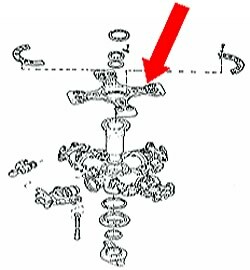 The common explanation used is that it “is an inherent vibration within the rotor system”. The question remains – What CAUSES it? “Inherent” does not give a cause – without a cause, merely a brush off. Nper rev and its associated harmonic derivative frequencies are product of two main sources. 1. Rotor Blade flapping to equality. The greatest contributor is the action of the rotor blade flapping to equality to equalize lift across the disc throughout its rotation. 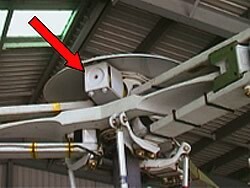 It is caused by energy transfer from rotor blade to airframe via the transmission. This energy is created in the rotor in the form of a “whiplash” action induced along the blade as the tip of the blade reverses direction of travel. This change in direction of the tip is caused by the ever-changing creation of lift as the local angle-of-attack is constantly altering as the local relative wind ever-changes with constantly varying local airflows throughout the rotation of the rotor blade. These changes are most prevalent with increasing Airspeed. Hence most compensating devices are tuned for best effect at cruise or high IAS. 2. Airframe interference. Airframe interference is also a contributor but is really only prevalent at slow Airspeed. It is caused by the absorption of energy from the “pulse” of air that each blade pushes downward as it passes over a large, flat surface. This surface may be a large flat stabilator, an empennage (these are mostly rounded and semi-aerodynamic however), winglets, or upper structure covering the roof/transmission area. The roof and transmission area is close to the root of the blades which generally has far less “pulsed” downwash than the mid-span to tip portion of the blade. A lot of the inboard portion of the blade is producing little lift if any through most of its flight regime unless in the hover. It is often either stalled or in flow reversal for a good portion of the flight envelope. It can be seen that airframe interference will really only be of any consequence at slow speed flight or in the hover. These causes are discussed in greater depth in RTB, available in the Free downloads. N per revs are broken into both an Nper vertical and an Nper lateral component. Depending the aircraft make/model, the severity of each component varies. The severity determines whether the OEM will provide dampening for both vertical & lateral components or just dampening for the most noticeable or predominant component. Most OEMs have a lateral dampening device incorporated in the head with some cabin absorber arrangement to reduce the vertical components. The knowledge contained herein this web site is the intellectual proprietorship and property of RWAS and is free for use for non-commercial ventures only by an individual. Any professional, corporate or organisational use, permission must be sought and received before use in a commercial, professional non-profit or otherwise manner.